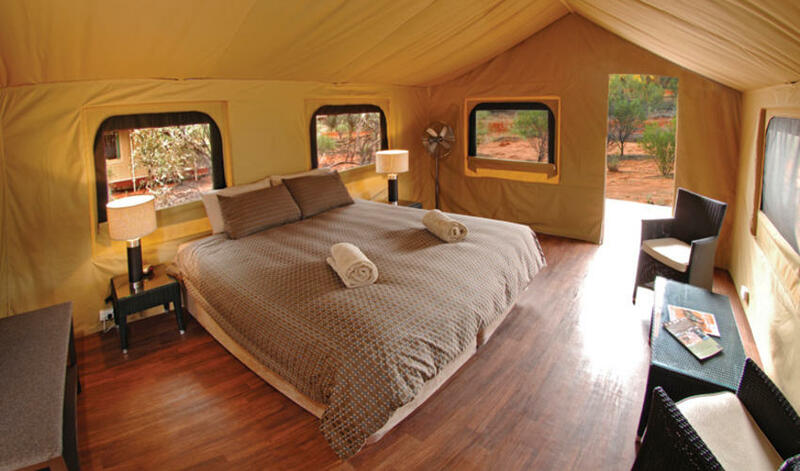 Kings Canyon Wilderness Lodge is “glamping” at its best. 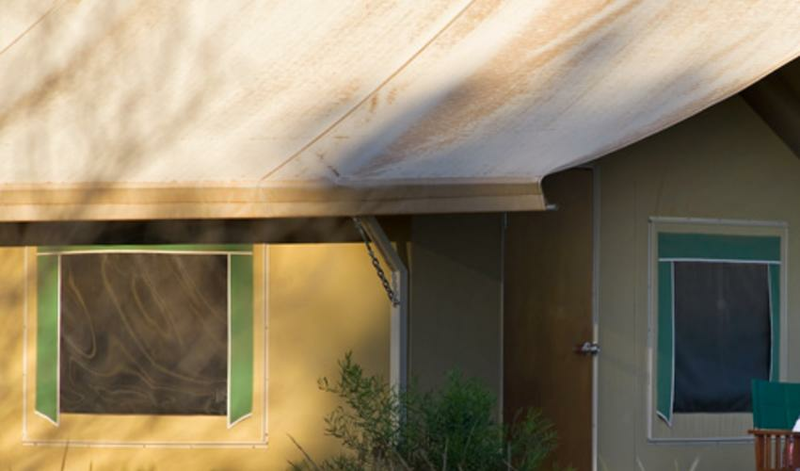 This working cattle and camel station has 10 tastefully decorated air-conditioned tented cabins. In the evening enjoy sundowners on the verandah followed by a three-course gourmet meal complete with storytelling and stargazing around the campfire. 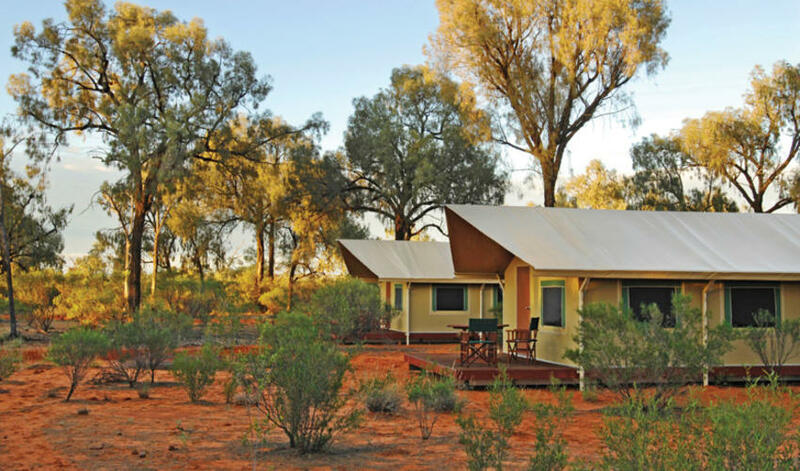 In the morning, explore the amazing Kings Canyon, or alternatively, arrange an escorted quad bike ride or camelback safari, or a visit to an Arrente cultural center where you will get a well-organized and informative introduction to traditional Arrente life. Even scenic helicopter tours can be organized. 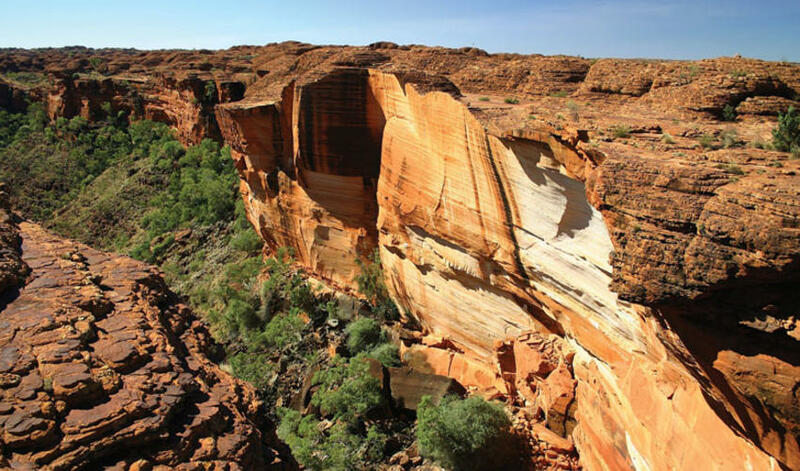 King’s Canyon (Watarrka National Park) is a 3.5 hour drive on tarmac road from Uluru. Alice Springs to Kings Canyon is 280 miles or about 10 hours of driving, much of it on dirt roads. The Mereenie Loop is by far the most scenic way with interesting stops along the way. Be sure to visit Simpson’s Gap and have lunch at the historic Glen Helen Outback Resort. The King’s Canyon Loop takes about 3 ½ to 4 hours to walk, with a very steep ascent at the beginning. Once you get up, it is all very rough surface, but not challenging. It’s a fascinating mini Grand Canyon with lots of interesting geological formations. The soaring sandstone walls of Kings Canyon were formed when small cracks eroded over millions of years. Derived from an Aboriginal word referring to the umbrella bush that thrives here, the Luritja Aboriginal people have called the Watarrka National Park area home for more than 20,000 years. It’s definitely worth a visit, particularly for those who love desert scenery.